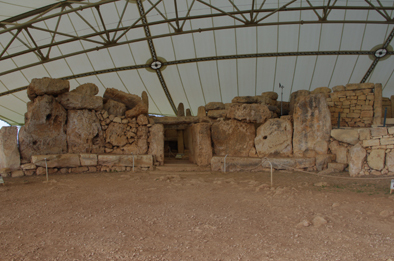 We decided that we had to visit more of the wondrous Neolithic sites so we crossed to Malta and drove across the island to the Hagar Qim and Mnajdra temple complexes. The Manajdra Temple also protected by a canopy. 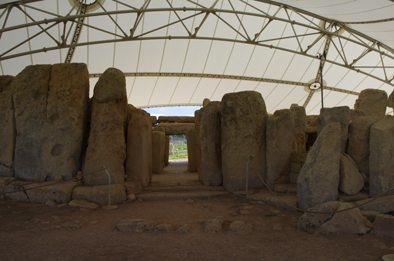 Both sites are positioned close to each other over looking the sea on the south east part of Malta. They are well preserved and serviced by an excellent visitors centre. These temples together with the one at Ggantija on Gozo were the chief purpose of our visit to the two islands. The people were extremely friendly and welcoming which was an added bonus to our stay here. Tomorrow we fly home to England.